We’re finally there! Congratulations and thanks to those of you that have displayed amazing stamina to have checked out all of my posts in my ‘Top 20 rock and metal albums of 2012’ countdown. To anyone who has arrived late, links to all the other 19 posts in this series can be found at the very bottom of this post. With any music list, I’m not expecting universal agreement and would love to hear what you think about my choices, so feel free to comment either here or on the other million social networking sites which I frequent. 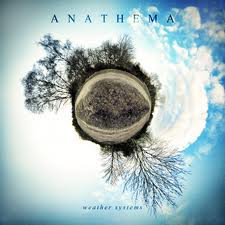 I have been a fan of Anathema for many years, since their ‘Eternity’ album from 1996. However, I never considered them to be one of the very best bands within my collection. That has all changed now though, thanks to their latest opus ‘Weather Systems’ which on it’s own is magnificent but has also made me revisit the back catalogue and appreciate it a whole lot more than ever before. 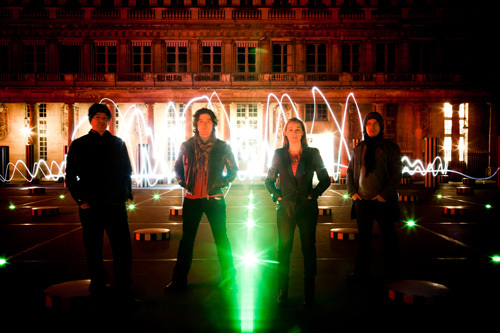 Anathema are now one of the best bands in my collection. In short, ‘Weather Systems’ is a near-flawless masterpiece from the Liverpudlian band and as such, no other album really had a hope in 2012. This wins by a hefty margin and 2012 aside would almost certainly find a place in my top 10 albums since the turn of the millennium. It is that good. ‘Weather Systems’ is not a metal album though, let me say that at this juncture. Instead, and in keeping with their steady evolution from a dark and slightly doomy Gothic metal band, it is an emotionally charged and beautifully written progressive rock album with elements of alternative rock and flashes of metal on occasion. Combining a deceptive simplicity with such lyrical and emotional depth, this was an album that grabbed me from my very first listen and has held me captivated ever since. Each of the nine songs offers something of real value and I never once consider skipping tracks or switching a song off mid flow; I have to listen to the entire song and, if possible, the entire album. The killer blow for me is the final track, ‘Internal Landscapes’. It begins with the voice of an man recalling his personal ‘near death’ experience and, as the story nears the end, he is joined by an acoustic guitar. At that point, I nearly always well up. Those of you who know me and know my own story will understand why. Suffice it to say though that the words and sentiment within the song have an added resonance when you’ve been the one sitting by the bedside, watching helplessly as a loved one slips away. Only, in my case, that loved one never came back. I apologise if I have taken this blog down a gloomy path but I think helps to put into context why I love this album and why it is so powerful. 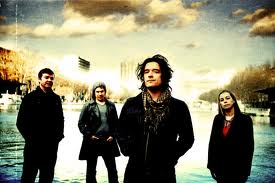 Instead of making me feel sad, Anathema have managed to create an uplifting vibe through much of the material and in spite of the personal feeling it stirs within me, I am also greatly uplifted and given strength by it. “As a matter of fact, it’s impossible to describe. Verbally, it cannot be expressed; it is something that becomes you, and you become it.” For me, this says it perfectly. ‘Weather Systems’ is more than just an album of music, it is so very much more. Thank you for reading my ‘Top 20 rock and metal albums of 2012’ countdown. I hope you have enjoyed it.